Give your patio the lush look you love in the rest of your garden with this Decorative Planter. 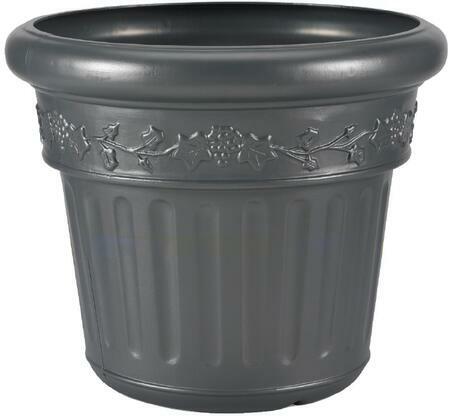 Featuring a classic grape and vine motif these flower pots are a great addition to your front porch or back patio. This outdoor planter won't chip or crack. Weather resistant. Made of polyethylene resin. Assembly level/degree of difficulty: No Assembly Required. Made in America. Overall dimensions: 18" H x 21" Dia.